Kaleidoscope Paint & Design, Inc.
J and H Painting, Inc. Comment: Re-paint front porch back to original status and stain newly completed fencing. Comment: All Trim in Game Room to be repainted, 1 piece trim reinstalled. Touch up walls and ceiling as needed. Room is Carmel Color, trim is Black. Comment: wanting to repaint home. good condition siding want to change colors for a new look. Woodstock Painting Contractors are rated 4.73 out of 5 based on 1,190 reviews of 71 pros. 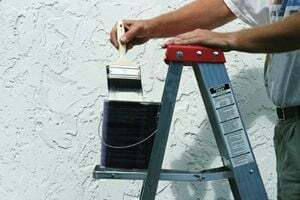 Not Looking for Painting Contractors in Woodstock, GA?